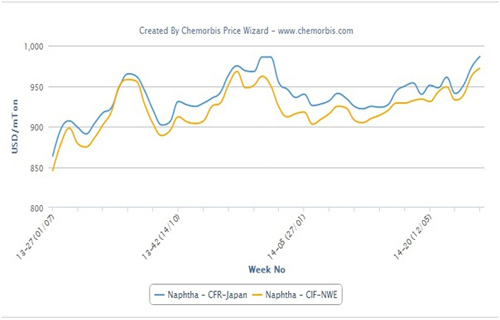 PP and PE prices have started to be announced for April in Southeast Asia with hefty hikes this week as per ChemOrbis pricing service. Tight supplies continue to drive both import and local markets up in the region, according to players. Monthly increases of up to $200/ton are seen in the new announcements. A Saudi Arabian producer announced their April prices for PP and PE to Southeast Asia with increases from March. The producer lifted their prices by $180/ton for LLDPE and HDPE, by $200/ton for homo-PP and by $90/ton for PP copolymer. “Middle Eastern prices are moving higher because of supply limitations stemming from a number of shutdowns in the region. We are facing some resistance to our new PP block copolymer prices, but consumer response to other offers has been good so far,” a producer source commented. According to a trader in Philippines, a major Saudi Arabian producer came with increases from March. The producer’s new levels indicate increases of $180/ton for HDPE film, $150/ton for LLDPE film, $170/ton for LDPE film, $190/ton for homo-PP raffia, $240/ton for PP block copolymer and $260/ton for PP random copolymer when compared to the initial March prices which the trader received from the same seller. 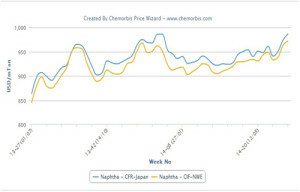 A domestic producer in Indonesia also announced a new hike on PE, maintaining the upward momentum that has been in place since early February, according to ChemOrbis.